Fans and friends gather in Orange to honor the beloved host's legacy. 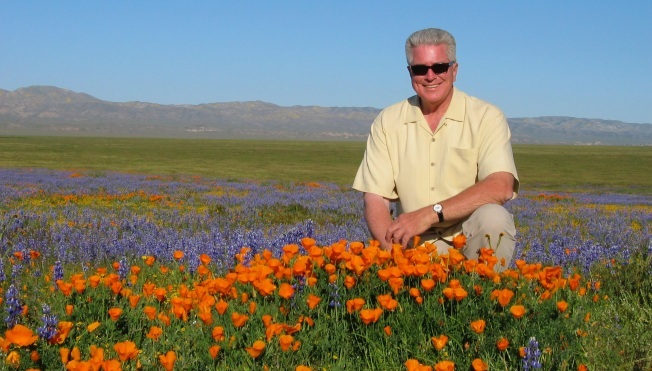 The public is invited to the "official launch" of the Huell Howser Archive and California's Gold Scholarship. The gathering happens at Chapman University on Friday, Feb. 8. People in the Golden State can sometimes be described as aloof or unapproachable. Certainly the famous are often described that way, probably quite unfairly. But we all can take our knocks 'round these parts. There was, however, a well-known and beloved figure who was always approachable and always ready to chat: Mr. Huell Howser. People who met the congenial, big-spirited television host just once immediately felt as if they were a part of something special and, well, something warm and kind, too. That was part of the popular host's appeal, the way he drew people in and his natural warmth. When Mr. Howser passed away last month at the age 67 a sunset gathering at Griffith Observatory helped fans grieve and bid goodbye. But there's now a new chapter in the host's legacy: The Huell Howser Archive and California's Gold Scholarship are set for their "official launch" at Chapman University in Orange on Friday, Feb. 8. Time is 2 to 7 p.m.
A few people featured on the host's "California Gold" series will be in attendance. Also of interest? "Artwork and memorabilia" from Mr. Howser's series and love of California will be on display, as well as a recreation of the host's office. Oh, and this is the fun and quirky side fans always loved: "found objects" from Mr. Howser's road trips will be in the mix as well. Perhaps one of the most stirring parts of the day is the fact that the first person to receive a California's Gold Scholarship will be in attendance. Mr. Howser often ended his shows with an upbeat wish for the future, whether it was the future success of the people he was visiting or that the little-known place he was at would get some recognition. The scholarship is very much the host's look-to-tomorrow spirit in action, as is the archive as well.